Worried that your son or daughter sleep more even during final exams week? If so, take heart. According to a study, students who sleep for eight hours are more likely to perform better. 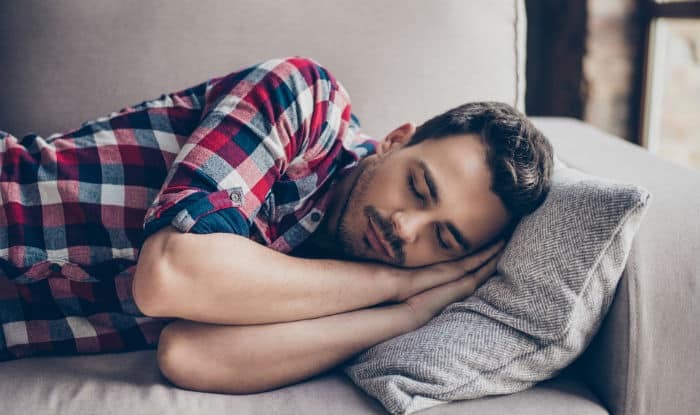 “Better sleep helped in final exam performance, which is contrary to most college students’ perceptions that they have to sacrifice either studying or sleeping,” said Michael Scullin, Assistant Professor at Baylor University’s College of Arts & Sciences. For improvement in academic performance, a student does not have to be an ‘A’ grade, the researchers said. The findings showed that whether a student was an A, B, C, or D student before their final exam, sleeping eight hours was associated with a four-point grade boost. “It is worth noting that one student who had a D-plus grade before the final but slept more than eight hours for a week during finals week remarked that it was the ‘first time my brain worked while taking an exam’,” Scullin said. Poor sleep is common during finals as students cut back on sleep, deal with more stress, use more caffeine and are exposed to more bright light, all of which may disrupt sleep. Fewer than 10 per cent of undergraduates maintain the recommended average of 8 hours a night or even the recommended minimum of 7 hours, the researchers said. The study results were published in the Journal of Interior Design; and Teaching of Psychology journal. In the study, the students were given extra points if they met “the 8-hour Challenge” — averaging eight hours of sleep for five nights during final exams week. The participants included undergraduate interior design students and students in upper-level psychology and neuroscience classes. Those who opted to take the challenge wore sleep-monitoring wristbands for five days to ensure accurate study results.